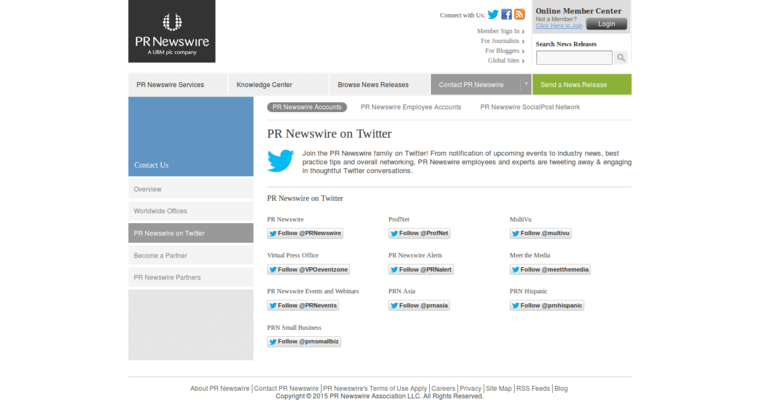 PR Newswire empowers businesses of every size to leverage the incredible power of press release campaigns. 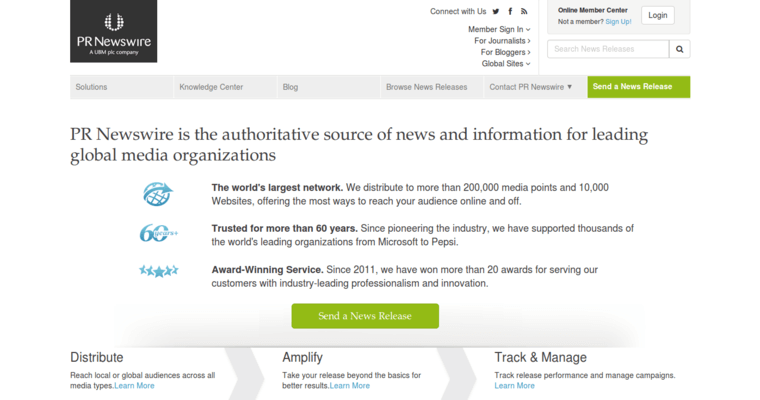 To accomplish this, PR Newswire has built a platform that has a high degree of automation that also pays a lot of attention to details. Although PR Newswire has a fully staffed support team, business owners and managers can usually get all the help they need from the site's 24-hour self-service support system. Additionally, the platform provides everything a client needs to get started, beginning with well-defined affordable price structures. 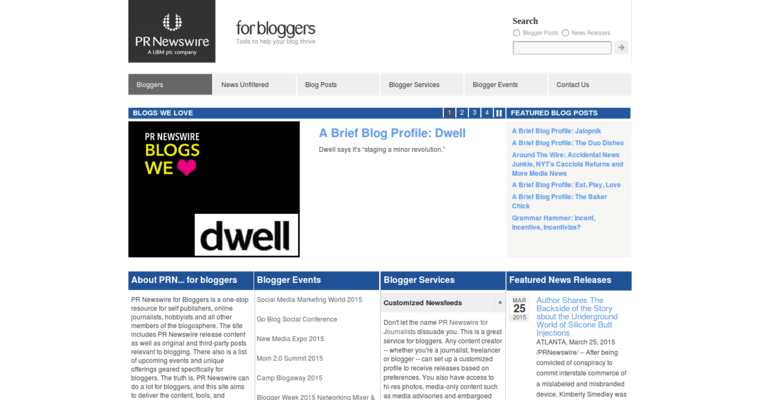 Clients who use PR Newswire also receive the benefits of templates and other tools that help them create powerful press releases. The site also provides a huge number of options that allow clients to precisely define the recipients of their press releases. Finally, the firm has a fully equipped analysis and reporting center that enables clients to assess the performance of their campaigns.